Very Well Kept Condo Complex with Plenty of Parking and A Quiet Park Like Setting. Easy Access to 45. Almost Right in Between Houston and Galveston.EXCELLENT Investment Opportunity! All information to be verified by buyer. Directions:South on I-45 S. Take Exit 19 toward Dickinson, left under overpass, destination on RT past Dues Camping Center and Flooring Source. SchoolsClick map icons below to view information for schools near 2501 Gulf Freeway Freeway Dickinson, TX 77539. Listing provided courtesy of JLA Realty. Home for sale at 2501 Gulf Freeway Freeway Dickinson, TX 77539. Description: The home at 2501 Gulf Freeway Freeway Dickinson, TX 77539 with the MLS Number 64761775 is currently listed at $74,900 and has been on the Dickinson market for 73 days. 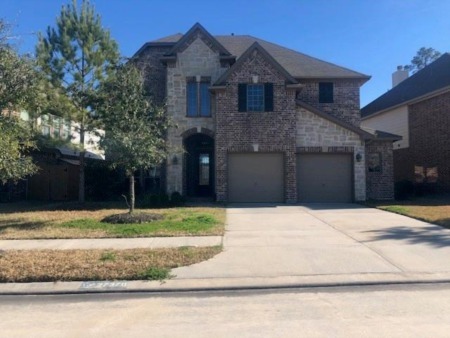 You are viewing the MLS property details of the home for sale at 2501 Gulf Freeway Freeway Dickinson, TX 77539, which is located in the Ponderosa Forest-Condo subdivision, includes 2 bedrooms and 1 bathrooms, and has approximately 886 sq.ft. of living area.